Help your child learn how to prepare a special dinosaur-themed breakfast. Ingredients for a “dinosaur breakfast.” See printout for possible menu. 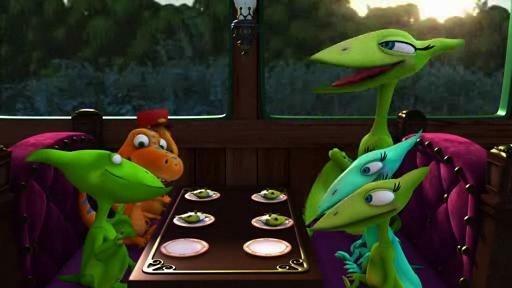 Show your child a clip from Gilbert the Junior Conductor in which the Pteranodon Family enjoys eating breakfast on the Dinosaur Train. 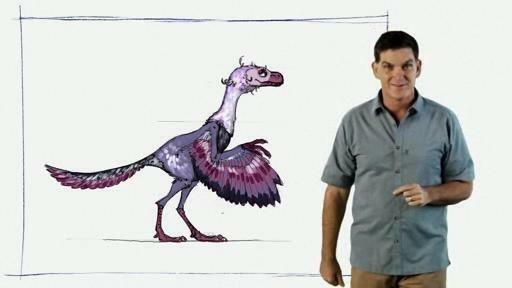 Explain that your child (with your help) is going to prepare a special breakfast that could be served on the Dinosaur Train. He is going to write and design a menu to announce all the tasty food they will be serving. (You can help younger children write out the menu items.) See this pagefor some ideas for a possible menu. Before preparing any food, have a discussion about safety in the kitchen. What are some jobs that are good for kids to do? What jobs should adults handle? IMPORTANT: Before preparing any food, make sure your child is not are allergic to any of the ingredients.